The ravages wrought by the sun can be the most difficult to un-do, so choose prevention over cure with Alpha-H's Daily Essential Moisturiser SPF 50+. Enriched with vitamin E, aloe vera and honeycomb extract to trap moisture and keep skin hydrated; this lightweight sunscreen offers the perfect substitute to your usual moisturiser, leaving skin wonderfully matte and prepped for foundation. Providing a sheer veil of high factor protection with no 'white mask' effect, it's a sunscreen dream come true. 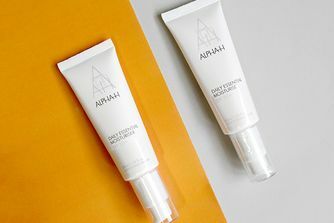 Alpha-H's daily moisturiser provides waterproof, broad-spectrum sun damage protection at SPF 50+, without feeling heavy or looking chalky on your skin. Suitable for all skin types, even combination/oily, Daily Essential Moisturiser SPF 50+ strikes the perfect balance between long-lasting hydration and a non-greasy, barely-there texture making it the perfect base for make up. A brilliant daily solution to seriously protecting your skin. Apply Daily Essential Moisturiser SPF 50+ every morning to clean skin (on top of your preferred serum if your skin is excessively dry). Allow a few minutes to absorb before applying make-up. I have used this SPF moisturizer for five years and although I like to try something new I always return to this product. It protects my skin from sun damage, it moisturizes effectively without making my skin oily or pale. This moisturizer is good under makeup. I will definitely repurchase this cream again and again. I have oily-combo skin and it does not greasy on my skin. A touch glowy and dewy, but not gross at all. The only time I turned into an oily mess was under 40C sun! (who wouldn't haha) It is very protective and I am glad I bought this cream. Most likely will repurchase. I bought this because cult beauty stopped stocking ThankYou Farmer and lots of reviews said this didn’t cause breakouts. Unfortunately, after only a day of use, lots of whiteheads’s started appearing. I gave this a few more chances, giving my skin time to recover in between but to no avail. I am using this for 2 months now and I can highly recommend it. I have very oily skin and dark acne scars. I've decided to use a moisturiser with high SPF to protect my skin from sun damage. It feels amazing and moisturised on the skin and doesn't feel greasy at all. Also, you'll look like you are glowing from within. I find it strange that some people find this product greasy. Although I have oily sensitive skin, I don't think it's greasy. I love it. I give this moisturiser only 4 stars because I love the Skin Laundry SPF 35 a bit more. I have combination skin and this is the best moisturiser with SPF I've ever used. It is the only moisturiser I've put on my face all summer. Would gladly keep using it during winter 'cause it's very hydrating without being greasy, but I don't need an SPF 50 in winter 'cause it's always cloudy and rainy where I live and I prefer switching to oils and serums when it's cold. Will definitely repurchase next summer though. Absolutely amazing. Let me start by saying that I have combination skin type (dry with oily at the T). I apply sunscreen daily religiously for almost a decade, my skin tolerates and thrives with it. I have a clear skin, I never had any problem with breakouts except for the hormonal spot here and there. After 3 days of applying this product my skin started to create blackheads, being extra sensitive with red patches and felt drier that ever, so dry that it burned putting on my night moisturiser. Stay away. I have sensitive oily skin. I got a 30ml in the skincare kit and now I've purchased the full size. I live in a very hot country where the sun burns my pale skin badly. This moisturizer is amazing. The only SPF that does not break me out. Makeup looks beautiful on it and doesn't go greasy. It sinks into the skin and leaves a smooth surface. The skin on my face never burns with it. It's lovely. I have ultra dry and dehydrated skin which is also sun sensitive. I love using this moisturiser onto of a serum. It doesn't ball and is also great under makeup. Will keep repurchasing. The main attraction is the high SPF which is important where I live. The cream is very light and sinks in well. I have repurchased a couple of times but unsure whether I will do so again because it isn't moisturising enough for me (I have normal and sometimes slightly dry skin). It's ok in summer when I'm outside and it's humid but not for the rest of the year, or in an office environment. The smell is a bit chemical. It's not a pleasure to use like some face creams. I would call it utilitarian (but at a fairly luxurious price point it's worth noting). I have sensitive, combination acne-prone skin (i.e very high maintenance) and this SPF has really worked for me! It hasn't broken me out and I've been using it everyday for 1 month now, the texture is great and sinks into the skin fast, and doesn't leave a white cast. Highly recommend! I received this as part of the gift with purchase promotion Alpha H did a while back. I personally think this product is just too light for me. I have dry skin, but I do live in Hong Kong, which is humid at the moment. Originally I used it as a day time moisturiser on top of my day serum etc. It is rather matte, therefore for those who like matte formula this would be a plus. I love radiance in my skin and therefore this is not an ideal product for me. Plus my face would feel pretty dry in the afternoon after using this as a day cream. I now use it as a SPF on top of my day cream, or I would add a layer of oil after my serum if I decide to skip cream and use this directly on top. Make sure you do not use any gel texture serum underneath otherwise this product will rub off when you put makeup on. I still have another tube of this product which I received as a gift with purchase but I will not purchase it on my own. Is always had a problem to find a good SPF which doesn't leave a white/gray cast on my skin. Especially when you are dark skin person. I have been using this cream for about 2-3 years now and I'm quite pleased with it. I have dry skin so the cream in it self isn't rich enough, but I have a very good hydrating morning skincare routine, so that isn't a problem for me. It is a fine base to use before your makeup also. Truly recommend it! I'm sure this is excellent for people with dry skin but as a person with oily skin who lives in a tropical country, it was far too greasy. Let me feeling like I had a thick balm on my face. I'm not really all that sure what I think about this, it's fine when you put it on, and mostly when I do this I'm just taking the dogs out or whatever so I want to have a little bit of protection, but I most likely won't be wearing any make up. But I do feel that after I've been wearing this product for a little while it becomes a bit gross on the skin, texture is like, when you touch your face it kind of rolls off like you have dead skin but it's the product. I love using Alpha H stuff but I'm kind of disappointed that I bought multiple of this product before trying it once. I love how easily this absorbs into my skin. It is not difficult to apply enough, but if you need to work in the recommended amount, you look little paler than your usually are. Even re-applying goes effortlessly. However the only fault I can find is the somewhat odd smell. And it dries out my hands like crazy. But not my face, which I cannot explain. This is a very good moisturizer. Having SPF 50, it really comes in handy in Dubai's sunny weather. However, sometimes I feel it makes my skin look a bit greasy. Need to dab with a tissue any extra oil. Really light formula, only need a tiny bit. It's not greasy but wouldn't say it's matte either. Helps my makeup glide on, just like a primer and it stays put during the day. I use daily over Alpha-H Liquid Radiance to help my skin heal from acne scarring. Brilliant - very nice texture (no scent) and doesent break my out! I love this! Its the only facial SPF that doesn't break me out or make my incredibly sensitive skin itch. It goes well under make up, leaves a velvety finish to the skin and doesn't have the typical sunscreen smell. Will definitely be repurchasing when it runs out, although you only need a small amount so it should last atleast 6 months. First time I've ever felt like leaving a review for a product but this was really great. I suffer from really quite congested oily skin so any other SPFs make my skin super shiny and make me break out even more. With this I don't even have to use any mattifying primer that I would normally use after any moisturising. As the other reviews say, this makes your skin super soft and velvety and all with a really decent high SPF. The only one I would consider using now! This is a fantastic product. All you need is one small pea sized amount that absorbs into your face easily and smoothly. Provides a great base for foundation and it has a high SPF. I have combination to oily skin (especially at certain times) and using this hasn't resulted in more spots. Love this moisturizing SPF. High protection, non greasy and sticky. Even good with my acne prone oily skin!! With such great reviews I was really disappointed with this. It was way too thick for me and wore really greasy. I ended up having to wash off and reapply my makeup. I gave it 2 stars because at least it didn’t leave a white cast, and maybe on another face in a less humid environment, this would work fine. Just not for me. Using this cream for a few months now and very impressed! No white cast, no oiliness, good makeup base, easy to apply. What’s not to love? I have really sensitive skin and have struggled for years with flare ups on my face. Usually any drastic change in weather (hot or cold) will cause dry flaky patches and a scaley texture to my skin which is really uncomfortable and could only be controlled with steroid creams. This was recommended to me by a friend and I have been using this for six months and so far NO FLARE UPS! This has been a lifesaver for my sensitive skin and I couldn’t recommend it more! It is great for sensitive skin! My skin is very reactive and it felt really comfortable. It also works really great with makeup. I love the high spf here that seems to be really working. It is a very lightweight moisturizer and if your skin is pretty dry I would recommend mixing it with some other heavier cream or few drops of a face oil. After I added two drops of rosehip oil it worked wonders, but it took about 10 min to absorb. This product didn't work for me. I live in a tropical country and it really hot all year through. I have combination skin leaning more towards the oily side and this product didn't do much for me. It felt quite tacky and made my face very greasy. I am usually not fond of sunscreens and I was disappointed that this was like most other sunscreens thick and greasy. I have dehydrated skin and need a serum underneath my moisturiser. I have tried with several different serums, and this SPF 50 moisturiser does not layer well on my skin. I bought the two-pack, which is a waste, as I cannot use up even one. I have tried to apply a light, sheer foundation over it, and it makes me look like mess with plenty of tiny visible particles all over my face. And yes, I waited several minutes before applying. However, it did not leave a white cast and is not greasy, and it is great for sensitive skin. This does not really help me, when it peels off. As it is labelled a moisturiser, I need to be able to use serum under and foundation over. So pleased with the matte finish of this SPF 50 moisturizer. Previous SPF 50 moisturisers I've used (Kiehl's and Perricone MD) have been too greasy, made my skin break out, or left a noticeable white finish. This one, however, seems to provide the right level of moisture (and hopefully sun protection) and, provided you give it time to dry/'sit', it comes to a really nice velvety finish without leaving a white residue. It's so nice that I don't put any makeup on top of it. I had given up on finding a SPF that wouldn't make me feel uncomfortable and greasy. Until I got this moisturiser on the Cult Beauty Christmas Box. I cannot feel it on my skin some minutes after applying it, my skin doesn't get greasy at all, I couldn't be more happy with it. Highly recommend it. I have very sensitive skin, to the point where certain moisturisers can give me allergic reactions. Unfortunately, this was one of them. The texture felt really nice when applying it, very lightweight and easily blended into my skin, but the next day there were clusters of tiny pimples all over my face. If you have super sensitive skin, this might be one to avoid. I absolutely love this product. I have oily/combo skin and it wears well throughout the day underneath my makeup. I love that it doesn't have that typical white SPF veil and after a week of using it my skin has felt noticeably softer. Will definitely purchase again! I have normal to dry skin and for me, this is just the right amount of moisture for daytime. I like that I can eliminate an extra layer of skin care under my makeup since this has a good SPF rating. I often have trouble with various products under my makeup causing my foundation to slide around, but so far this one has played very well with all of my different foundations. I use serums underneath as needed. I got this in a Cult Beauty box and I will definitely purchase this again. I have combo skin that is very dehydrated. I've been looking for a good daily moisturiser that would hydrate my skin, without clogging up my pores and that offered extra skin care protection. At spf 50+ you really can't go wrong. This is a lovely creamy texture that absorbs quickly into the skin and is easy to spread. It instantly leaves skin feeling refreshed and smooth and I have found once dry, makes a great base for my makeup. If you have very dry skin I would not recommend this product as I do not think it will be rich enough, but for everyone else from dry/normal to oily it is lovely and makes a fab daily moisturiser. Love the dispenser, the texture is fine and feels like any good moisturizer, not shiny or greasy, I usually wear it on its own without makeup. It doesn't make you look like you're going to beach and here in Dubai's heat it stays put really well. Love this. I have hyperpigmentation after 2 pregnancies and am vigalent about sunscreen every day - minimum SPF 30 but LOVE that this is SPF 50, that it absorbs and does not color skin white and non-greasy formula! I put powder and make-up on top of this and it does not interfere - LOVE - will definately re-purchase! I'm very disappointed, I expected more after such good reviews. I love satin finish, but this is a greasy. In addition, it has some yellowish micro pearls that are very ugly and make the skin an unhealthy yellow. But worst of all are the ingredients, - parabens, phenoxyethanol, alcohol. Too expensive for such a formula. This formula is so easy to wear! It is not thick or greasy, and does not make my skin oily or interfere with my makeup. There is no strong SPF smell and it's more like applying a normal moisturiser than a SPF 50! I found this after my usual sun protection changed their formula for the worse, but this is actually so much better than my old SPF! Please never change this formula! I wear this every day no matter what the season. My trusted one, I discovered this during pregnancy when I got skin that changed from oily to dry and back unpredictably and as an additional bonus I got hyper-pigmentation. This cream is comfortable, protective and feels amazing, oil-free yet moisturizing. Amazing value for money, I use just one pump for the whole face and half pump for my neck (even behind the ears:) wish I had found it earlier! I bought this after a scare sent me running to SPF 50 for my face. As a dedicated sun worshipper I have always been wary of SPF50, worried it would be heavy and greasy. This is neither of those things. It feels like moisturiser, not suncream, and is light and grease-free. I wore it all summer and it endured many beach days protecting me fully throughout the whole day and in and out of the sea. I can't praise it enough. I've been using it for over a year now and it's a lovely lightweight moisturiser that has great SPF. I burn quite easily and with this I can be out an about without having to worry about it. Recently I burned my skin due to product that caused an allergic reaction and nothing worked to calm my skin. I applied this moisturiser because I had to go out and did not want to burn any further and within an hour my skin was calmer and looked better! Great stuff even if you have oily acne prone skin. I bought this for a trip to Australia. Both me and my boyfriend used it. We both got flaky skin after a few days of use and found the product uncomfortable. I had to buy Keihl's moisturiser and apply that first before patting a layer of this over the top (I wanted the SPF protection) On the other hand we had absolutely no sunburn using this product. This is an ideal moisturiser for pretty much any skin type. It’s light yet hydrating, not at all heavy but nourishing. The perfect ‘top coat’ for skin after application of serums or treatments. Great non sticky, and not too thick moisturiser. Even in hot, sweaty climates this stays on and does the job. Also great for sensitive skin. No perfumes which is also great for sensitive skin. Three cheers (and five stars) for this one! I've been searching for something like this for YEARS. And believe me, I've tried most of the big brands - but everything else leaves an oily film on your face, even though it's always described as non-oily. This one genuinely isn't oily: it seems to dry almost instantly - without making your skin too dry - and provides a very good base for make-up. What a great plus that's it a moisturiser, too, cutting out one of the layers you need to apply. (Anyone else sick and tired of being told you need a serum, then moisturiser, then sunblock to stop you getting wrinkles and freckles, then foundation, then loose powder? Crazy!) I'm going to buy 2 more of these, this time for my twentysomething daughters. 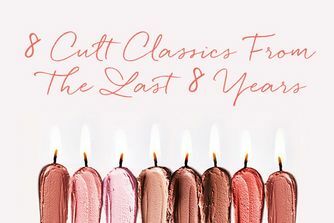 Well done, Cult Beauty: we're already hooked on Beauteniser (sp?) mascara.